This website will try to cover all of these topics. How to become CCNA certified? 1. by passing the CCNA 200-125 CCNA exam ($325). 2. by passing the ICND1 100-105 exam and ICND2 200-105 (165 $ each). The CCNA 200-125 exam covers the topics from both ICND exams. If you pass the ICND1 exam, you will receive a certification called CCENT (Cisco Certified Entry Networking Technician). The CCNA 200-125 exam consists of 60-70 questions. The ICND exams have 45-55 questions. The highest score you can achieve on either exam is 1000. The minimum passing score is somewhere around 830. Where to take the exam? To take the CCNA exam you have to schedule a test appointment through Pearson VUE, an electronic testing company. Pearson VUE has many authorized testing centers throughout the world and you can locate a test center in your vicinity. The exams are available in English and Japanese and lasts for 90 minutes, unless you aren’t a native speaker of any of these two languages. If that is the case, you will get a 30 minutes time extension. After finishing the test you will immediately get the results. 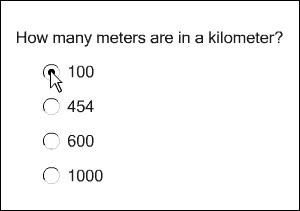 Cisco provides just the basic information about your score, so you can’t be sure which questions you got right or wrong! attending a CCENT or CCNA course – Cisco courses are offered by various educational companies and institutions. You can use this online tool to locate an academy in your vicinity. These courses usually lasts a couple of months and include a lot of hands-on activities. Prices vary depending on your location, but the courses can be quite costly (up to $1000). self-study with textbooks and online courses – another popular way to prepare a CCENT exam is by self-studying. There are lots of high-quality resources online and tools such as GNS3 or Packet Tracer that enable you to study without actually buying expensive equipment. Of couse, this website is one of these high-quality online resources :-). Many people use website like Ebay or Amazon to find CCNA kits that will enable them to work on real equipment. concentrated boot camps – intensive, week-long live classes that cover months of materials in just five days. Not recommened for beginners. You don’t need to attend a course academy in order to take the CCENT or CCNA exam. 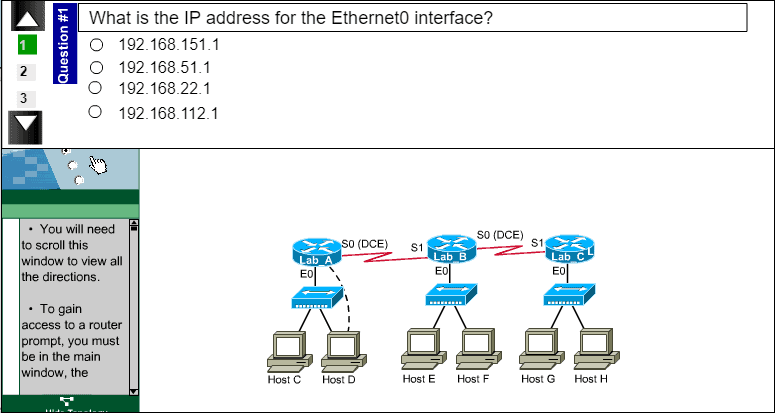 On the ICND1 exam, you can expect to be questioned about topics such as the operation of IP data networks, LAN switching technologies, IPv6, IP routing protocols, IP services such as DNS, DHCP, TFTP, and NTP, basic troubleshooting… On the ICND2 exam, expect questions regarding configuration and troubleshooting of STP, routing protocols, QoS concepts… The CCNA exam includes the questions from both ICND exams. simulated lab – a lab scenario where you can access and configure the devices. You job is to fix the problem with the configuration by reconfiguring the devices. Cisco has reserved the right to change the exam guidelines at any time without notice. Your CCENT certificate will be renewed after you pass the next-level exams. For example, the CCNA Routing and Switching certification is a step above the CCENT certification. Passing the CCENT exam will extend your CCENT and CCNA.